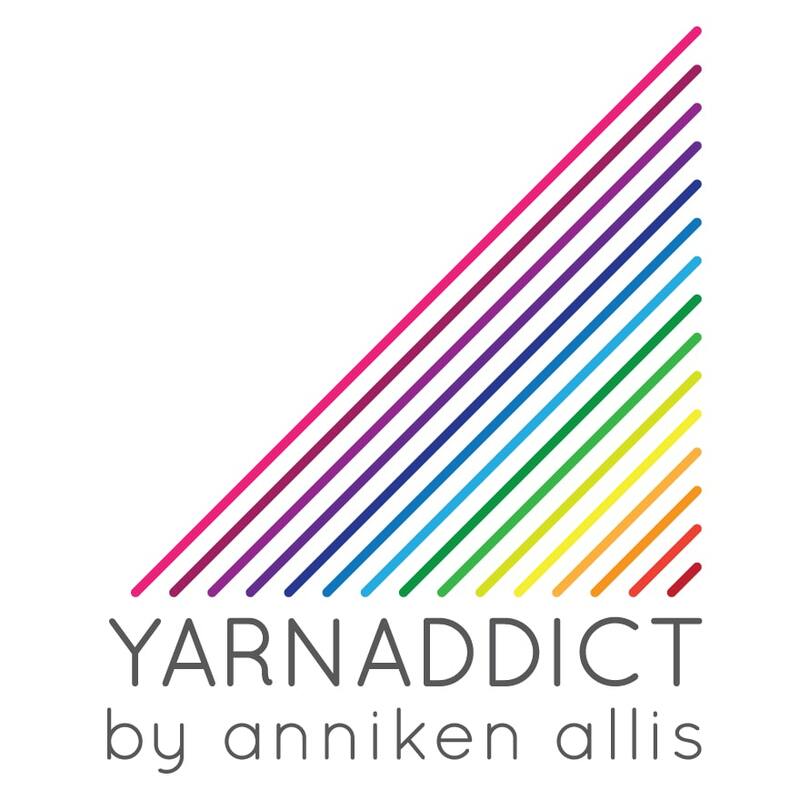 Confessions of a YarnAddict: Will I see you at Stitch Fest in November? Will I see you at Stitch Fest in November? It's nearly time for Stitch Fest - a fabulous yarn show held in Totnes, Devon. It's two days of wonderful stalls selling everything knitters and spinners dream of as well as workshops. I'll be teaching three workshops this year. The class photos below are from last year's Stitch Fest. On Saturday 4 November, I'll be teaching Professional Finishing Techniques from 2-5pm. If you hate sewing up your garments, have no idea how to pick up stitches, don't like your button holes or hate the standard stair step shoulder shaping, this is the class for you. You'll learn how to work short row shaping for the shoulders and three needles cast off, how to seam your garments using mattress stitch, how to pick up stitches for the perfect button bands with perfect button holes as well as things you can do to make finishing easier. Does it sound like you need this class? Get full details and book here. With this class you also get my Online Professional Finishing Course for free. You get indefinite access to this course which means you can refresh your memory on the techniques you learnt any time you want to. 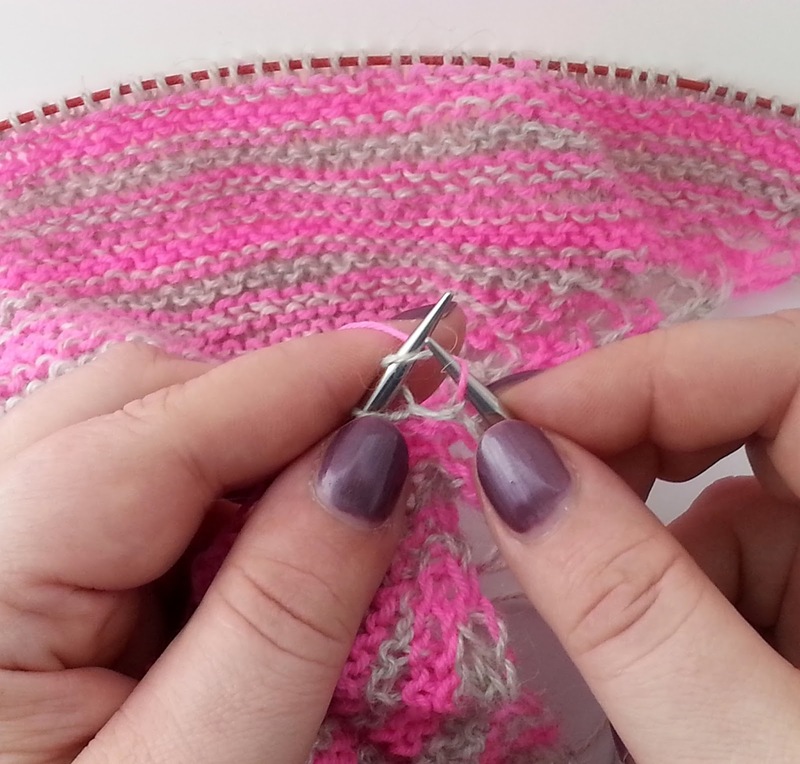 This class is suitable for knitters of all abilities. On Sunday 5 November from 10am - 1pm, I'll be teaching Fair Isle Knitting. 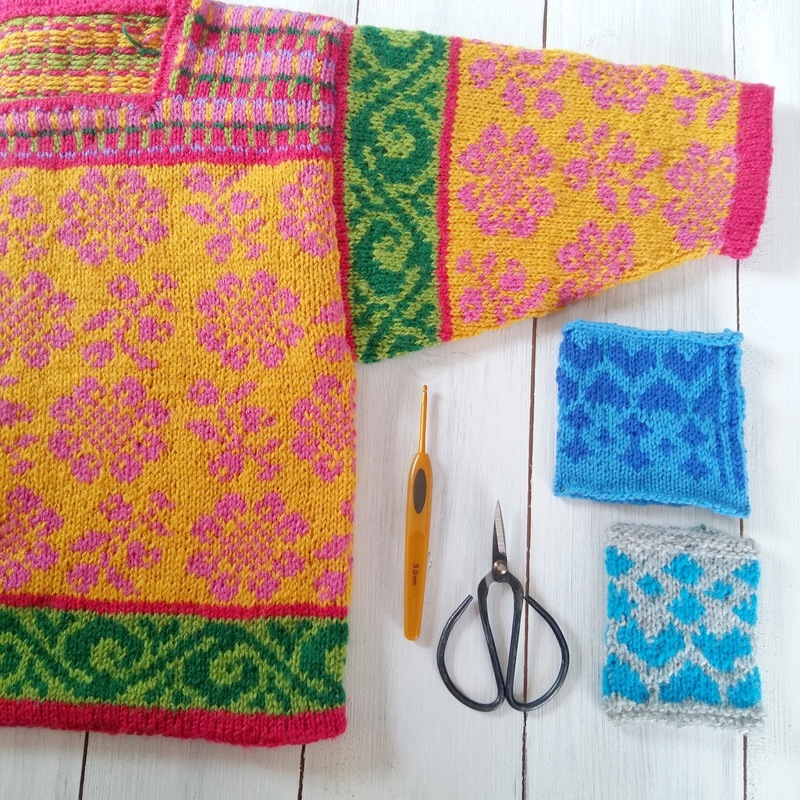 Fair isle knitting is very popular this season and if you're worried about how to handle two colours, you've come to the right place. Growing up in Norway, I started knitting fair isle sweaters in my teens. In this class you'll learn how to knit with one colour in each hand if you're an English style knitter (or with both colours in your left hand if you're a continental knitter), how to make sure your floats are the right length, how to avoid floats that are too long, how to read fair isle charts and all my other little tricks for perfect fair isle. See the details and book Fair Isle Knitting here. This class is suitable for knitters of all abilities. And finally on Sunday afternoon from 2-5pm, I'll be teaching Continental Knitting with Norwegian Purl. Continental knitters hold the yarn in their left hand and for the average knitter continental knitting is a quicker and more efficient way of knitting than English style knitting. 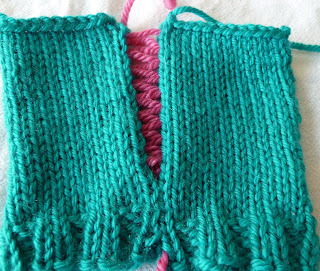 You'll also learn to purl with the yarn at the back, which makes combined knit and purl stitch patterns like rib or seed stitch so much quicker. 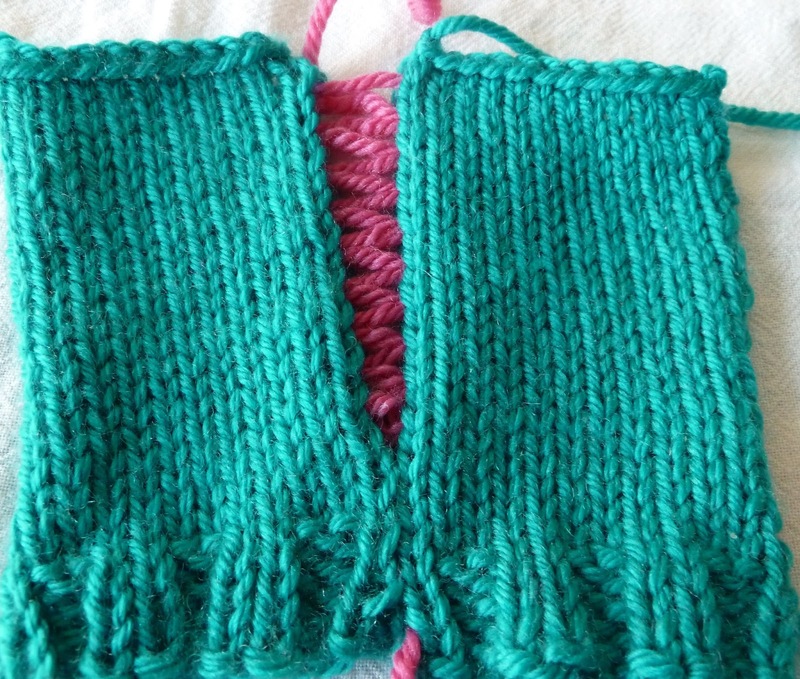 If you've ever seen me knit, this is what I'll be teaching you to do. With this class you get my Online Continental Knitting for free so you can refresh your memory at any time.See the details and book Continental Knitting with Norwegian Purl here. 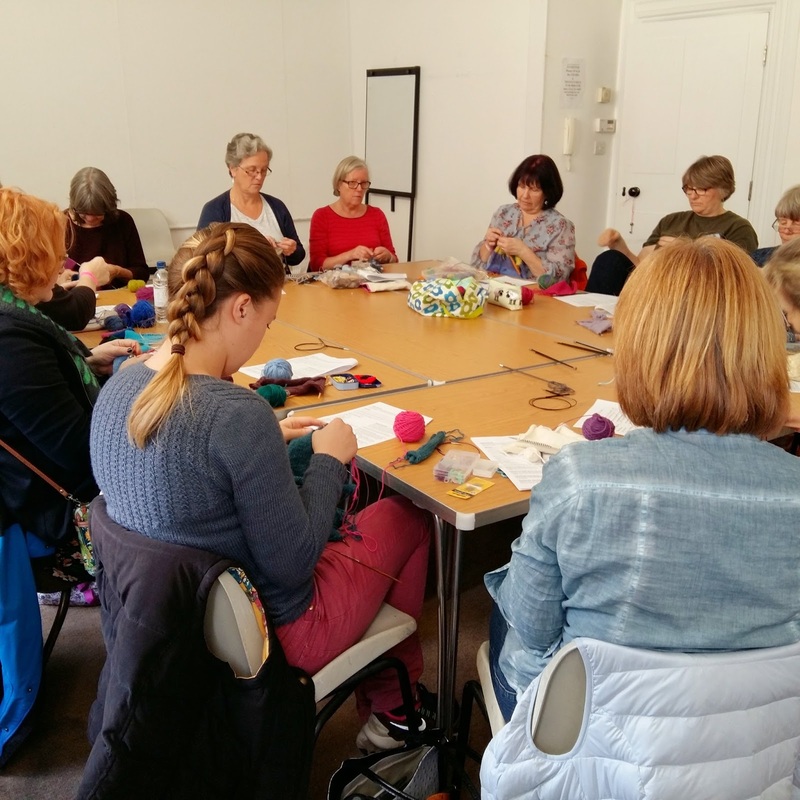 This class is suitable for knitters of all abilities. I've just looked at the exhibitors list and there are some fabulous stall holders lined up. It looks like there will be more stalls than last year. I'll definitely be making time to look around on Saturday morning before I start teaching. So will I be seeing you at Stitch Fest? 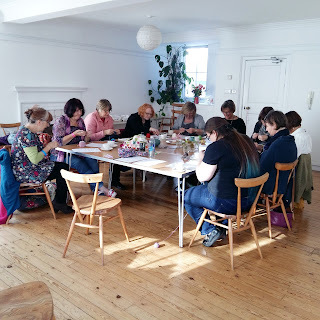 Stitch Fest is easily accessible from Totnes train station and it's only few minutes from the A38 which is the main road that continues down through Devon from the M5 at Exeter.